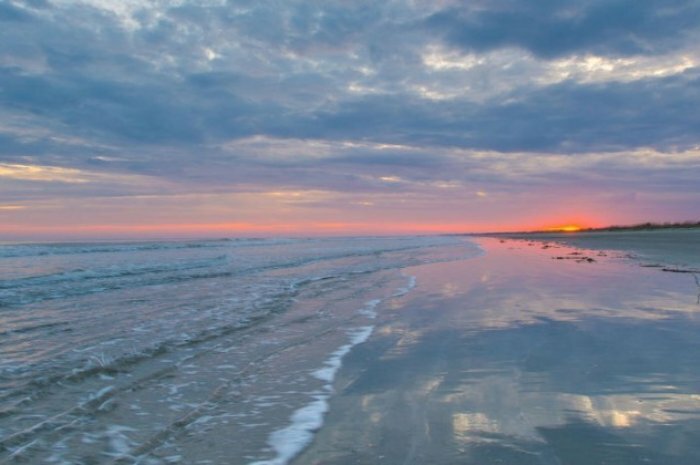 Which of the Charleston SC Beaches are the best? With five different beach towns in the area, our guide will help you choose which Charleston Beach you should visit. There are five different Charleston beach towns within a 20 minute drive of downtown. 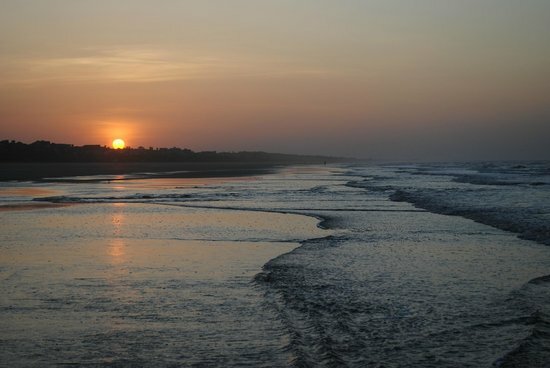 All of the beaches are safe, clean and not as crowded as other South Carolina beaches but they also each have their own unique characteristics. Our Charleston South Carolina Vacation Guide will help you decide which beach best suites you - so grab your towel, your sunscreen and get ready to hit the beach. 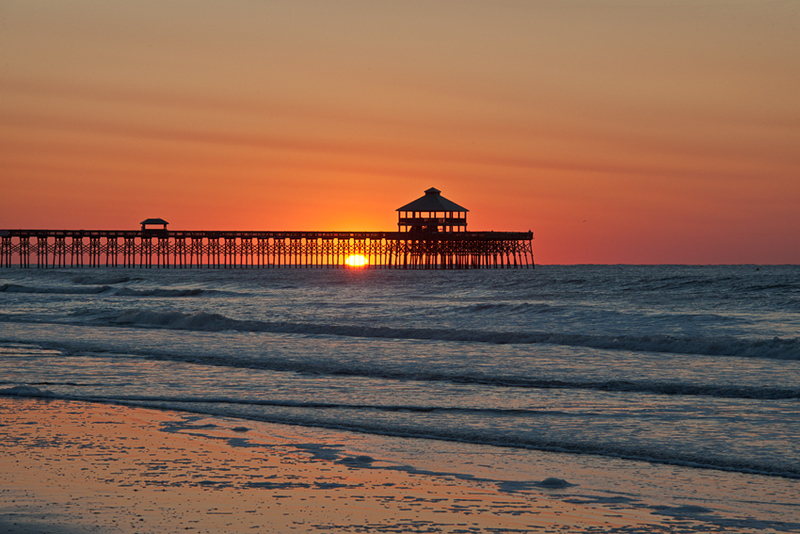 Which Charleston Beach is the Best? How far is Charleston from the Beach? 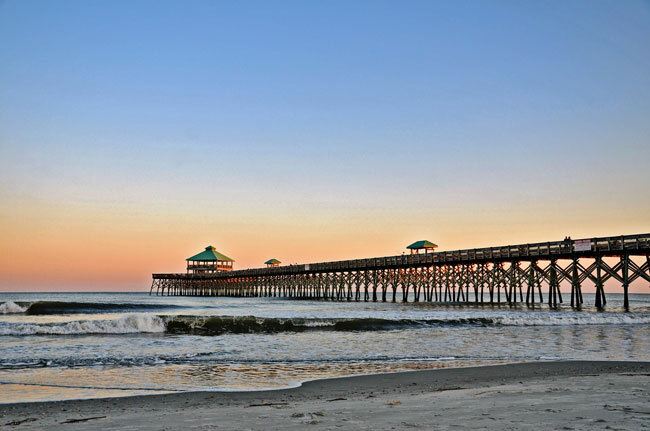 Folly Beach, located on a barrier island, is one of the most popular Charleston beaches. The beach is located about 20 minutes from downtown Charleston and has a great mix of restaurants, cafes and shops. Center Street Beach, located in front of the Tides Hotel with Folly Beach Pier in the center, is the busiest beach on the island. 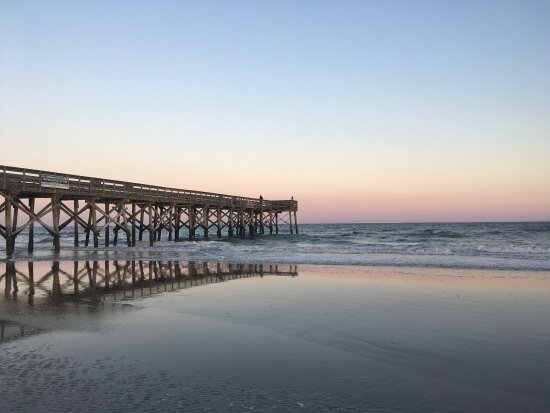 At 1,045 ft, the fishing pier is the second longest on the east coast and is great for fishing, walking and enjoying wonderful views of Folly Beach. Folly Beach County Park is on the western end of the island and here you will find showers, restrooms, changing rooms, picnic areas and a snack bar. The Washout is located on the opposite end of the island from Folly Beach county park. This is where most of the surfers go so it’s a great place to watch the surfers and catch some rays. Lighthouse Inlet Beach is as far east on the island as you can go and is usually the most secluded beach on the island. This beach offers great views of the Morris Island Lighthouse and has a parking lot about ¼ of a mile from the beach. Parking at the beach during the summer months can be hard to come by so be advised to arrive early. Free parking is offered along the streets but this parking often fills up first. If you can't find any spots along the streets, you will have to pay to park at the County Park, the Folly Beach Pier or the public beach access points. No parking on pavement (all 4 tires must be off road), sidewalks, dunes, crosswalks, or in front of public and private driveways. Sullivan’s Island Beach is one of the most non-commercialized and natural Charleston beaches. The beach is located about 20 minutes from downtown Charleston and is one of the least crowded beaches in the area. The island is small, only 3.3 miles long, and offers great views of Ft. Sumter, The Morris Island Lighthouse, and The Battery. Middle Street is the islands main drag and this is where you will find all the restaurants. The island doesn't have public restrooms, showers, or public parking lots. Parking is allowed along the streets, but be advised that all four tires must be off the road. You will find about 30 public access paths that lead to the beach. Isle of Palms, located about 25 minutes from downtown, is the most commercialized of the Charleston area beaches. The beach is often popular with families because of the strict “no alcohol” policy, the calm waters, and the cleanliness of the beach. Restaurants, shops and bars are located within walking distance of the beach and there are public restrooms and showers at the Isle of Palm County Park. You will also find a picnic area, grills, a boardwalk and vending machines. During the summer months, the beach has lifeguards, a snack bar, and beach chair/umbrella rentals. Isle of Palms also offers more parking than the other area Charleston beaches. There are two public parking lots near the beach where you can park for a fee. You can also park in metered spaces along Ocean Boulevard or alongside any road unless it is designated “No Parking” with a sign. 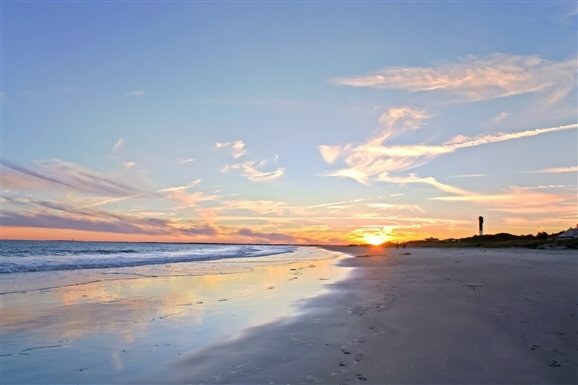 Kiawah Island, located about 20 miles from downtown Charleston, boasts 10 miles of pristine beaches. The island has two main areas, commonly referred to as East Beach and West Beach. Kiawah is a private gated community, and the only public beach access is located on the west end of the island at Beachwalker County Park. Kiawah Island is committed to preserving the natural environment so this area has some of the widest and least crowded beaches in the area. Seabrook Island is a private gated community located about 30 minutes from downtown Charleston. The island's 3 miles of beaches are a critical habitat for turtles and birds, but they are also dog-friendly. The North Lagoon Beach is the most secluded and uninhabited beach on the island and dogs are allowed to run off-leash. North Beach is the widest beach on the island and a great place to view dolphins. Pelican Beach, often called the sunset beach due to the beautiful sunsets, has almost no waves so it is great for families with young children. Visitors who wish to tour the island need to call 843-768-2560 to schedule an appointment. Dogs must be on leash above the high water line at all times. Below the high water mark, there is a designated area of 550 yards to the east of Boardwalk #1 where dogs may be off leash at any time of the day from November 1st through April 30th. From May 1st through October 30th dogs may be off leash before 10:00 AM or after 5:00 PM. East of the designated off leash area, no dogs –either on or off leash – are permitted at any time.